Fr. 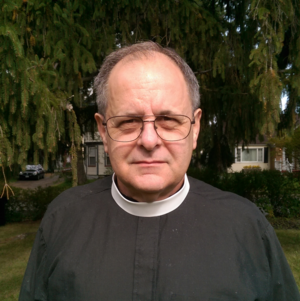 Mike Neufeld has served as Rector of St Andrew's Church Scotia since the year 2000. Before coming here, he served parishes in New Jersey and South Carolina and for 3 years was a Chaplain in the Army. He has been active in working with vets as part of the Welcome Home Initiative. The Healing Service includes Praise and Worship, Scripture and Teaching as well as opportunities for Holy Communion, Anointing, and Personal Healing Prayer Ministry .